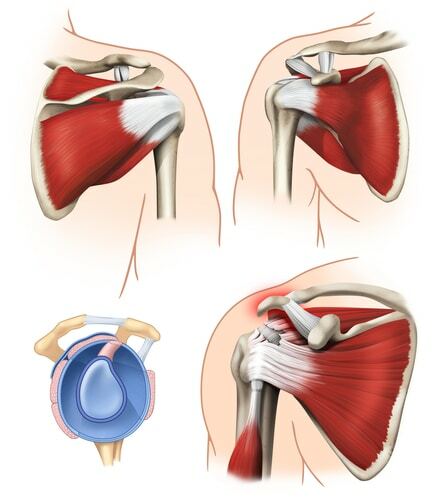 The rotator cuff is a series of four small muscles which control the motion of our shoulder. Collectively, the four muscles are referred to as the rotator cuff. It is called a cuff because the muscles all come together and completely cover the top of the arm bone. These muscles take the power from the larger muscles around the shoulder and turn it into “useful” motion. Without the rotator cuff, the shoulder does not function well. The rotator cuff is subject to signifiant stresses from many daily activities as well as stresses induced by many of the sports we play. Quite simply — what is a rotator cuff tear — is by far one of the most common questions I am asked. As you can see in the picture above, the rotator cuff muscles completely surround the top of the arm bone or humerus. The rotator cuff muscles (red) turn into the rotator cuff tendons (white) which then attaches to the top of the humerus. Proper function of the rotator cuff is critical to proper functioning of the shoulder. This is especially true in athletes and people with high demands on their arms, including manual laborers. The rotator cuff is subject to many different insults, stresses and trauma. Rotator cuff tears can result from chronic repetitive stress, routine wear and tear, or injuries such as a fall from a height. It’s easy to understand how a substantial trauma can cause the rotator cuff to tear off the bone. If you fall on your side or are involved in a serious accident the trauma will exceed the strength of the tendon and it will simply tear from the bone. This is called a traumatic or acute rotator cuff tear. These are the least common form of rotator cuff tear. Rotator cuff tears can also occur because of chronic repetitive stress… such as playing tennis everyday and serving 100 balls per day. Each time the rotator cuff is stressed or used, micro-trauma occurs. Usually, if given time, the tendon will heal itself. If you overdo it and keep the activity going without any period of rest, you will exceed the body”s ability to heal the injury and what starts as a microscopic injury can turn into a full tear of the rotator cuff over time. By far the most common type of rotator cuff tear seen in an Orthopedist’s office is a chronic, attritional rotator cuff tear where your muscle or tendon simply wore out. You did not do anything wrong. Your tissues, including your tendons change with age and they can wear out and simply tear. The risk of developing a rotator cuff tear increases with age because our tendons begins to gradually wear, lose its blood supply and its resilience. Routine daily activities like reaching, sports, or simply using the arm for normal activities increase the potential for wear, degeneration, and tearing. The answer to the question, what is a rotator cuff tear is not as simple as it may seem. Not all rotator cuff tears are the same. Your pain, weakness, loss of motion and treatment recommendations will depend on the type of tear you have and how many of the four tendons are involved. As I mentioned we have four rotator cuff muscles. The muscle or tendon which most commonly tears is the supraspinatus. Supraspinatus tears account for the vast majority of traumatic as well as degenerative tears or tears where the tissue simply wore out. That’s actually good news… because you still have 3 tendons which remain attached and can easily take up the stress of the missing supraspinatus tendon. 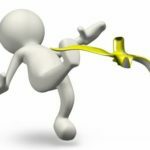 So, the next time you are asked ~ what is a rotator cuff tear … hopefully you will be able answer the question … or direct the person to this site to see the answer for themselves :-). 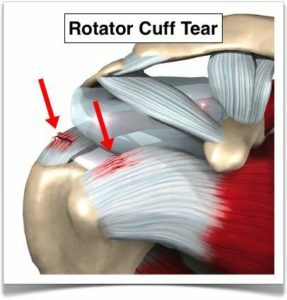 Do I have a full thickness rotator cuff tear? In depth discussion on the rotator cuff which goes beyond -what is a rotator cuff tear. 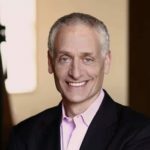 Rotator cuff: Do all tears require surgery?